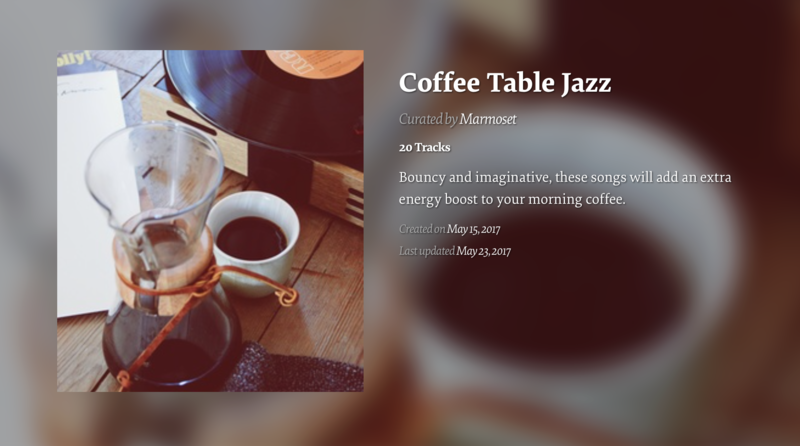 Marmoset included my piece “Vignette for Glassware” in this neato playlist! Click the image to have a listen. Tin Brother. Flatiron Meadows – The Vistas. Sitting in with El Javi at Ophelia’s Soapbox. Tin Brother. KCC, LLC party at The 10th Restaurant, Vail. (contact Courtney Miracle upon arrival 720-256-9609 for access to gondola). Tin Brother (Kevin). The Club at Rolling Hills. KFHS Radio (Fort Hays State University in Hays, KS) contacted me about playing my music on their station. Starting today, 5 tracks from my forthcoming album will be in their rotation! Solo. Green Valley Ranch, multi-house tour. Ázsia Expresszt, a popular Hungarian reality tv show (think Amazing Race) created a vlog giving viewers a behind-the-scenes look at making the show from the perspective of the show’s host Ördög Nóra and her family. Episode 10 of NÁNÁZSIA features my piece “Roads in Thailand” starting at the 8:40 mark. Quarter million views! I’m huge in Hungary right now 🙂 Thanks Artlist for the hookup! HarperCollins is starting the promotional tour for Vinaya Bhagat’s new thriller novel Trickster. The first event is an escape room themed off the book and the winners get to meet the author! This book trailer sets a spooky mood and uses my music as the soundtrack! Wish me luck! I’m braving the lines at SXSW this weekend to hopefully get a seat at the premiere of TransMilitary, a documentary that uses one of my pieces in the soundtrack! It’s an honor to contribute in a small way to such a worthwhile project! And to top it off, I get to hang with my favorite Austinite, my cousin Olivia! 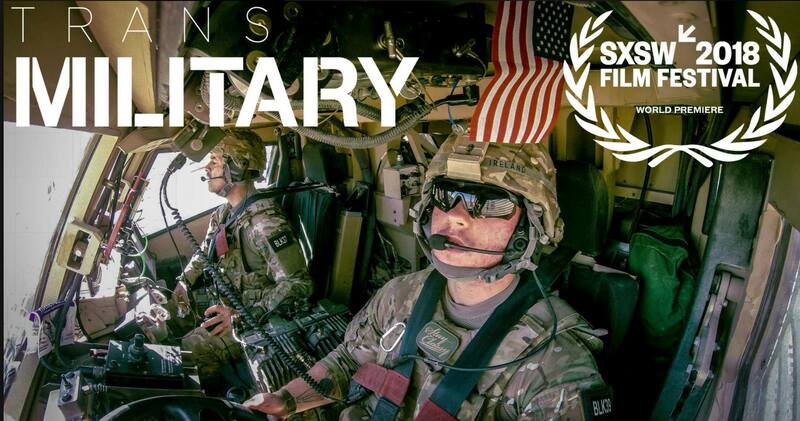 TransMilitary is a feature length documentary that chronicles the lives of four American transgender troops defending their country’s freedom while fighting for their own, and the larger efforts to bring an end to the ban on transgender people serving openly in the U.S. military. TransMilitary is the first feature length film project to receive funding from the GLAAD Media Institute. Tin Brother. Hyatt Regency Downtown. My piece ‘Birdsong’ was used in this short film by Czech director Radim Vaňous that won 4th Place in the Everyday Humans competition. Tin Brother. SAS Welcome Reception. (beer garden) Downtown Colorado Convention Center. Tin Brother. Cherry Hills County Club. Bring mic. Thanks to Artist, my music was used in this Cinema5D interview from the 2018 National Association of Broadcasters convention. Tin Brother. Ford Motor. Ford Vehicle Showcase at the Omni, Aspen Ro0m. Tin Brother. Wyld Restaurant (120 guests) Ritz Carlton, Bachelor’s Gulch. Tin Brother. Tin Brother. Ford Motor. Ford Vehicle Showcase at the Omni, Alder Room. 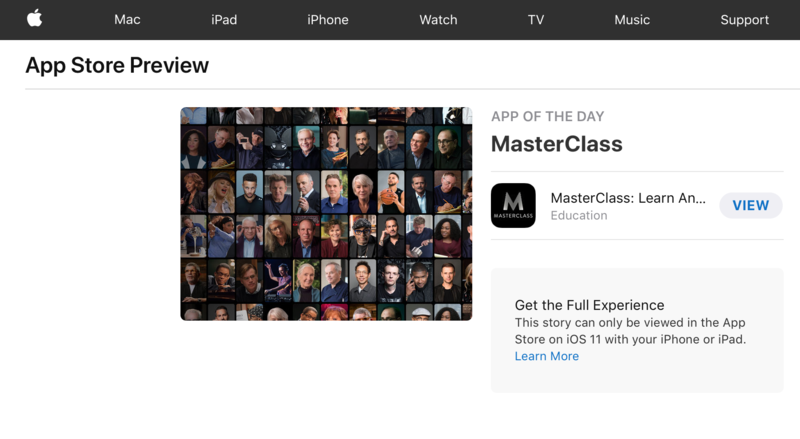 MasterClass released an app and Apple made it App of the Day! 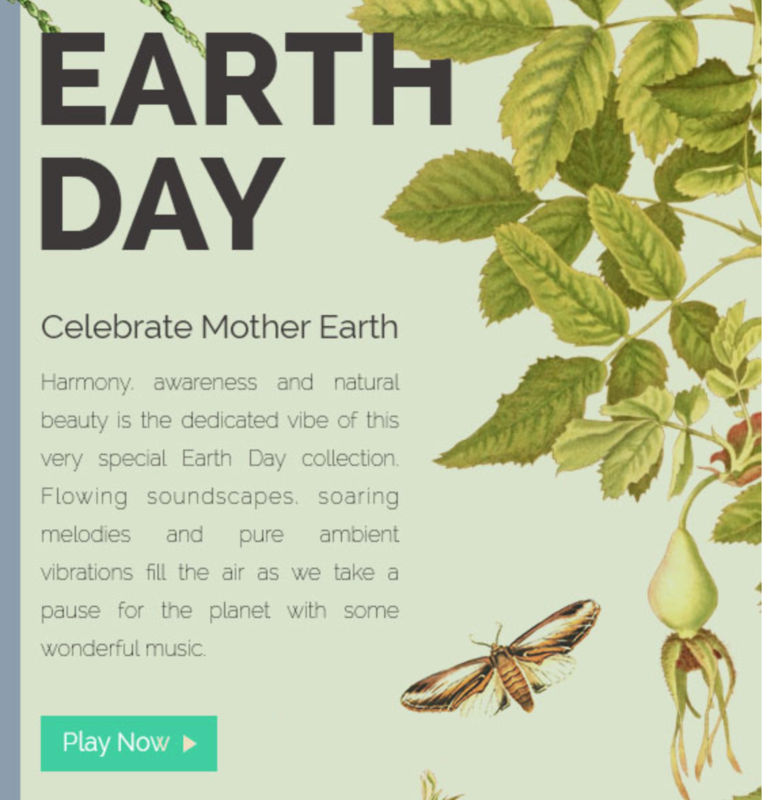 And I’ll admit it…I’ve been visiting my music in the Jane Goodall class. Much love to Marmoset for getting all kinds of indie music out into the world! Tin Brother. McDermott Will and Emery. Cheyenne Mountain Lodge. With the Marmoset hookup, this documentary by Costa Rican company Producciones La Pecera used my music in this documentary. 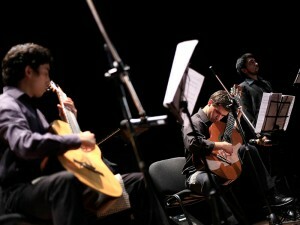 Its sponsored by the University of Costa Rica and is premiering there tomorrow. The Santa Rosa Out There Exposition premiered a new documentary about the Santa Rosa skateboard scene. My music was part of the soundtrack! Tin Brother quartet. me Adam, Brett, Roger. Pinnacle Club, Grand Hyatt. Tin Brother Quartet, me, Roger, adam, Adrienne. St Julian Hotel Boulder. Tin Brother (Kevin sub for Roger). Duo w/ Josie Quick. Ceremony at Gardens of the Gods Club. Tin Brother. Broadmoor Recital Series. Pauline Chapel. The Nod podcast used my music in this awesome episode featuring RZA of The Wu-Tang Clan and the martial arts consultant on one of my all time favorite cartoons “Avatar: The Last Airbender.” Thanks for the hookup Marmoset! Tin Brother. Hilton City Center, 1701 California St, Denver, CO 80202. Tin Brother Quartet, me, Roger, adam, Adrienne . Chambers Grant Salon. Tin Brother. ceremony+cocktail at St Julian Hotel, Boulder. Listen Louis. Raquel’s wedding ceremony at The Barn at Evergreen Memorial. Tin Brother + violin? Ceremony + cocktail. Denver Country Club, bowling green. Tin Brother quartet me, roger, adam, Brett. Ceremony + cocktail at Devils Thumb Ranch. Tin Brother trio me, roger, Michaela. Rehearsal dinner. Coohill’s. Solo split w/Roger. Ceremony at St Julian Hotel. I’ve had an exciting morning! I just signed a contract with NPR licensing 55 of my tracks! More news to come. Tin Brother. Ceremony+Cocktail at Mt Vernon Country Club. Seed is Australia’s first Indigenous youth climate network. They used two of my pieces in Water is Life, a documentary about the Aboriginal communities fighting against fracking plans in the Australian Northern Territory. My music can be heard at the 5:10 and 10:47 marks. Check out my music in this Vogue fashion film!!! Korean actress Han Ji Minstars in this Vogue Korea piece directed by Ray J. YI. It’s celebrating 50 years of Parisian jewelry company Van Cleef & Arpels. This campaign appears in the July issue of Vogue Korea magazine (check it out). This placement was made possible by my friends at Marmoset. Tin Brother. Penrose Room, Broadmoor. Tin Brother. Bowed bass for Ceremony. Cocktail. Timber Ridge Lodge, Keystone. Team T-Bro is excited to be playing music at this cool event! Come hang with me and Roger tomorrow night and get down on some world-class cocktails by JJ Goodman! If you ever visit the Independence Visitor Center in Philadelphia you’ll hear my music in the orientation exhibit screened in their newly renovated theater! The Marmoset team crafted this custom license with the Emmy-winning firm Bluecadet Interactive who have been integral in the re-brand and renovation project for the visitor center. Tin Brother. Hillwood party at the Broadmoor, Cheyenne Lodge. Tin Brother. Cheyenne Mountain Lodge. Tin Brother duo. Party for The CTP Group (client contact: Whitney Chen) at the Broadmoor, Lakeside Terrace. Very excited to see GQ praise two podcasts that have used my music! One is a great show called The Nod, the other is a secret…for now 🙂 Check out all the fantastic shows below. Duo w/Adrienne. Ceremony + cocktail at Garden of the Gods Club. Tin Brother. The Knot event at Denver Ritz-Carlton. Tin Brother. Co Bank party at the Broadmoor, West Lawn. Tin Brother Quartet. Me, Roger, Brett, Reggie. Broadmoor, 1858. It’s so cool to have music in this documentary about pro surfer Noah Cohen’s quest to represent Canada in the 2020 Olympics. Follow the story of Noah Cohen, a professional surfer from a small town on Vancouver Island. When an injury threatens to take away all he’s ever known, he’s forced to consider a life without surfing and find the strength to overcome. This was screened at the Whistler Film Festival. Great placement by Marmoset Music. Tin Brother. St. Julian Hotel. 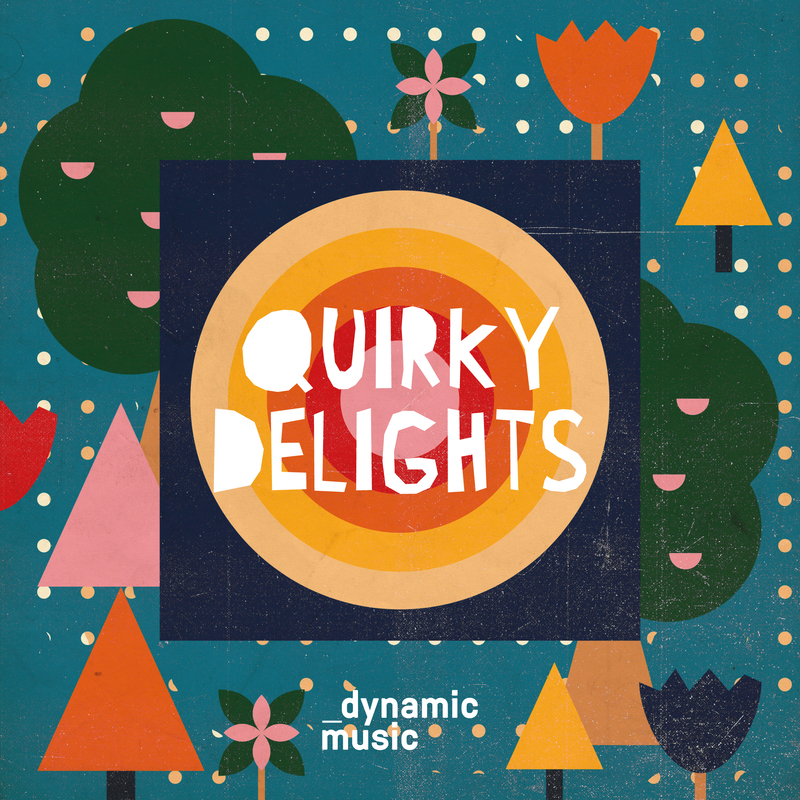 Last June I was asked by a London production music label called Dynamic Music to write an album in my signature quirky style. To which I replied: “quirky?…strap in!” 🙂 After months of writing, recording, and producing it’s HERE! Best of all, this album is to be published by the one-and-only BMG in the coming weeks!! Tin Brother. Corporate party at Coohills, patio. Tin Brother Quintet: me, roger, Tristan, Lannie, Kevin said yes (staff. no adam. no brett). Centennial Airport, Flight to Luxury fund raiser. This summer, I connected with NPR’s fantastic show Invisibilia and they thought my music would be a good fit for the soundtrack! The first episode featuring two of my tracks is here! If you listen carefully, you’ll hear me and Mae whispering to each other as part of one of the compositions (starts at 5:25). It’s a great show, please stay tuned for season 5. Tin Brother. CableLand scotch tasting event. 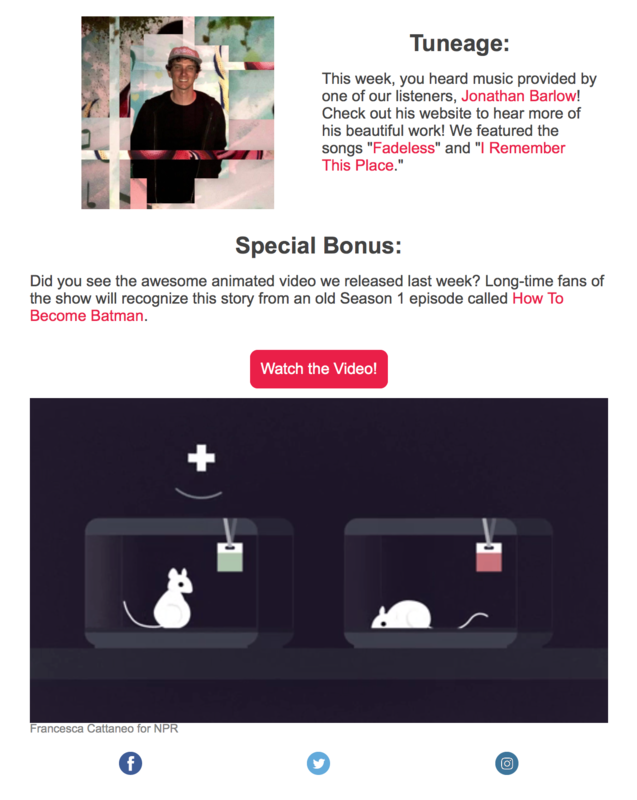 NPR’s podcast Invisibilia featured me in their newsletter. They included links to my website and links to the songs I contributed to the “BONUS: Leave A Message” episode. Tin Brother. Coors Field, party deck/rooftop. Bring PA w/mic. Tin Brother. Ritz Carlton, Bachelor Gulch. Bring PA.
Tin Brother. Ceremony at Red Rocks Trading Post. 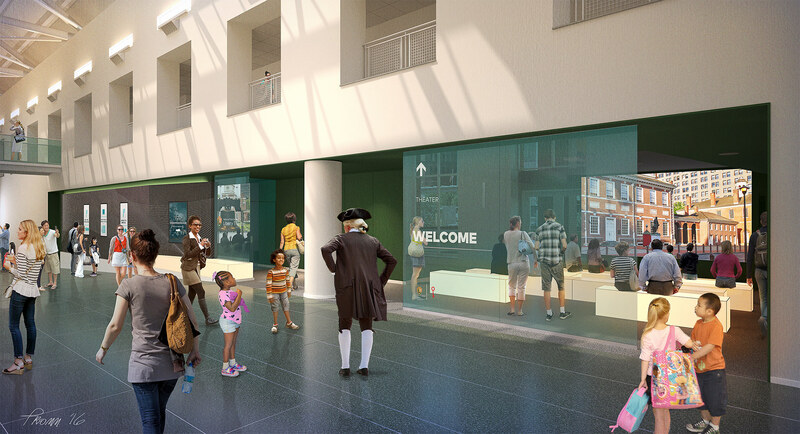 My music is part of the soundtrack to the welcome orientation exhibit at the newly renovated Independence Visitor Center Philadelphia. Today is the Grand Reveal Party. Duo with me & Adrienne. Four Seasons Ballroom downtown. 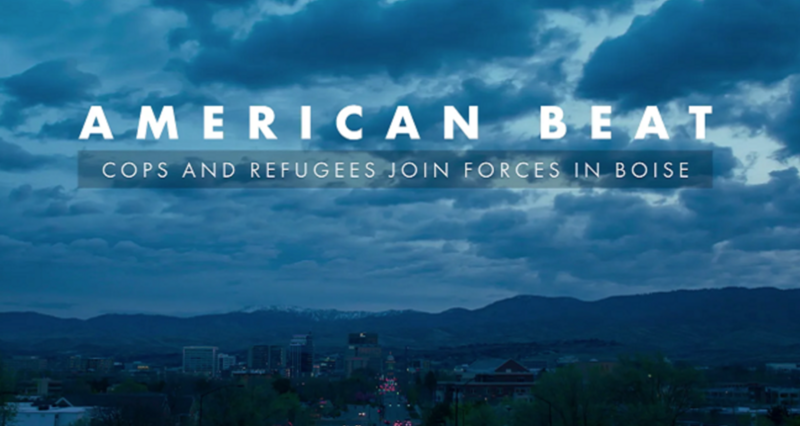 Bring PA.
American Beat: Cops and Refugees Join Forces in Boise is airing on Oregon Public Broadcasting channel (OPB Plus). Hear my music in this great documentary. 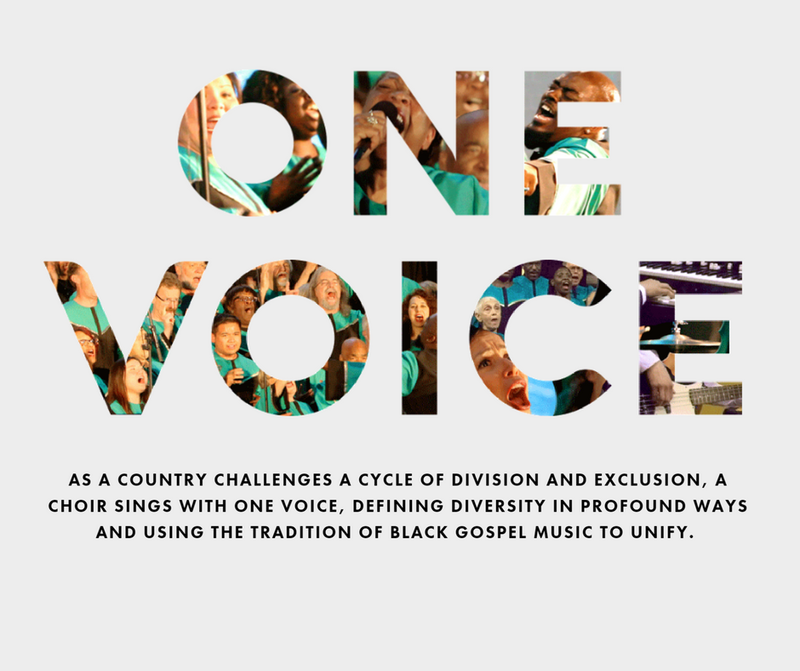 One of my pieces was licensed for The Oakland Interfaith Gospel Choir’s documentary film, One Voice. 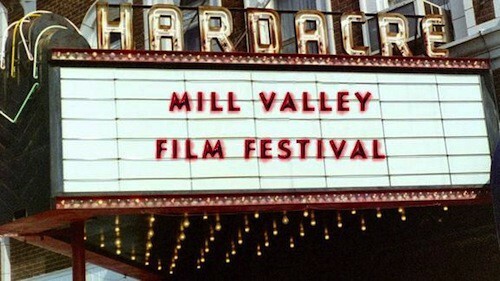 The film will premiere at the Mill Valley Film Festival. Tin Brother. Rennaisance Downtown happy hour. Tin Brother. Baker Hughes-Taste of Colorado in the Fall at Chambers Grant Salon. Tin Brother. History Colorado Center. Governor’s Leadership Celebration. Violin + guitar. Laura & Scott’s Ceremony + cocktail. Ritz-Carloton Bachelors Gulch. Skiers Bridge. Duo with Adrienne. Ceremony only at Beaver Creek Chapel. Tin Brother. Ceremony only at Planet Bluegrass. Heck yes! My album is now published by BMG!!!!!!!!!! Tin Brother. Broadmoor, Rocky Mountain Ballroom. ICBA party. My pieces “Lantern” and “Hymn” were part of the soundtrack to a nationally aired PBS show called Outside with Greg Aiello which is a national outdoor travel show that airs in over 80 percent of households in the US. Outside also airs internationally and on the entertainment network for United Airlines. Produced by 18Thirty Entertainment, season 2 episode 9, Greg explores Iceland. “Lantern” starts around 2:40 and “Hymn” starts around 6:00. Tin Brother. IBM party at the Cheyenne Lodge. Tin Brother + Michaela. Educause party at the Grant Chambers Salon. Bring PA? My album is on the front page of the BMG Production Music website. American Beat: Cops and Refugees Join Forces in Boise is playing at the Justice Film Festival at The Sheen Center, 18 Bleecker St New York, NY 10012. If you happen to be in the neighborhood, stop by and hear my music in this great film! Tin Brother. Renaissance happy hour. TransMilitary is back in Colorado. It is screening at the Colorado Springs Fine Arts Center as part of the Rocky Mountain Women’s Film Festival. Tin Brother. AWEA dinner in the Lake Terrace Dining Room. Tin Brother. Imprint holiday showcase at Hotel Born. The Jewish Museum in New York used my music in this trailer for their “Chagall, Lissitzky, Malevich” exhibit. Through some 160 works, this exhibition presents the artistic output of Marc Chagall, El Lissitzky, Kazimir Malevich, and others, exploring a little-known chapter in the history of modernity and the Russian avant-garde. Tin Brother. Downtown Denver Ritz-Carlton. 50-75 guests. Be quiet and we will have two locations. My music is the soundtrack for this Eddie Bauer film featuring whitewater kayaker and Eddie Bauer Athlete Chris Korbulic travels to Peru for an adventure out of the rapids and into the mountains of the High Andes where he immersed himseif in the Peruvian culture and landscape. Tin Brother + El Javi. Brik on York. This is a charming comedic/romantic short called “Fully Furnished” about a newlywed couple that moves into their first apartment. Realizing they have nothing, they go searching for ways to furnish it in one day. My piece “Willows” is used as part of the soundtrack starting at the 3:06 mark. Directed by Tanner Duncan. Cinematography by Alex Witkowicz. It was an Official Selection in the Speechless International Film Festival and the Intendence Film Festival. Tin Brother + Adam Bodine piano. Coctail hour at the Ritz-Carlton, Bachelor Gulch. Beginning today, my album “The Wallpaper” will be playing on rotation on York St John University radio (Saints Radio) in north England! Tin Brother. Valentine’s Day at Kate’s Wine Bar. Sometimes I like to hang out in industrial parts of town and play music with my friends…is that weird? Good thing our pal Vadim Elkind happened to be in the neighborhood and caught it all on video 😉 We are playing ‘Where is my Mind’ by the Pixies. I got a nice email today from a student at SAE London who bought a copy of my piece Rêverie Revamp (LACG Editions) which is a guitar duo recomposition of Rêverie by Debussy. She is writing a dissertation about recomposition in music and is incorporating an analysis of my work! Pretty neat! Tin Brother. Renaissance Hotel Downtown. Tin Brother. After party for the cast of Shaping Sound dance company. Four Seasons Hotel Downtown. Tin Brother duo. 6th anniversary open house at Message Rose, 7621 West 88th Ave.
Tin Brother. Westin DIA, Grand Foyer. Tin Brother. Broadmoor, 1858 Restaurant. Tin Brother. Showcase for ACCESS at future site of Gaylord Rockies. Gaylord Rockies Sales Offices, 6860 N. Argonne St. Unit C, Denver CO 80249. Tin Brother. Gibson, Dunn Law party. Tin Brother trio(keys). Infinity Park, Glendale. April 27th, 2017 (AXS). 5:00-7:00? Listen Louis/Tin Brother. Ceremony + cocktail hour at Blanc. Tin Brother. Happy hour at the Renaissance Hotel Downtown Denver. Duo with Travis Rollins viola. Wedding at the Highlands Ranch Mansion. Tin Brother. Wings Over the Rockies. Tin Brother. JW Marriott Denver. Tin Brother. Party for The Hartford at the Broadmoor Golf Club. Tin Brother duo. Colorado Bar Association. Westin Wesminster. 10600 Westminster Blvd. Tin Brother. Wedding ceremony and cocktail hour. Deer Creek Valley Ranch. Tin Brother Duo. Department of Otolaryngology at the University of Colorado. Ritz Carlton Downtown Denver. Tin Brother. Renaissance Hotel happy hour. Roger adding me to wedding solo. Tin Brother duo (Kevin Lee sub for Roger). Hotel Boulderado. Tin Brother. Spruce Saddle Lodge, Beaver Creek, CO, 81620. Tin Brother. Four Seasons Downtown, pool deck. Tin Brother. Broadmoor Recital Series. Tin Brother. Shea’s ‘The Canyons” property. I-25 and Happy Canyon. Tin Brother Quartet (w/Adrienne and Reggie). Westin Denver Downtown. Cocktails in the Confluence Foyer (me and Roger), then move at 8:00 to Confluence Ballroom for dinner (Adrienne and Reggie already set up). Bring break music. Tin Brother. Party for Hillwood. Cheyenne Mountain Lodge. Tin Brother. National Western Stockshow Complex. Tin Brother duo. TeleTech lunch hour show. Tin Brother Quartet: me, Roger, Reggie, Brett. McKinsey party, West Tower Lawn, Broadmoor. Duo with Kevin Lee. Denver Botanic Gardens fundraiser gala. 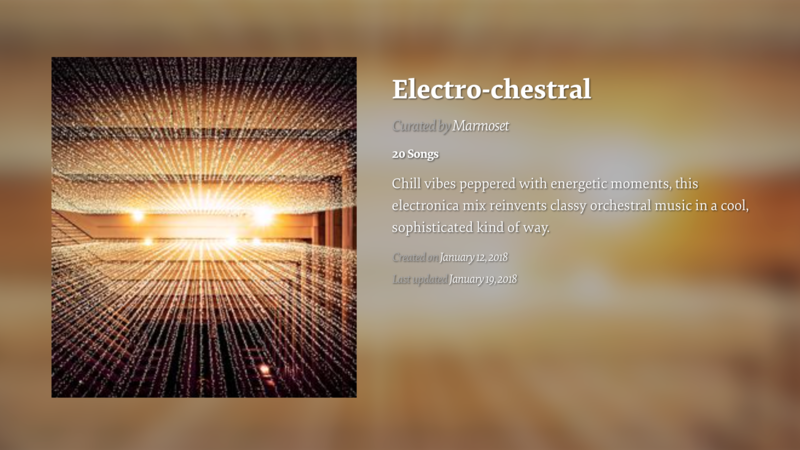 I’m really excited to be a new composer with Artlist.io and they were kind enough to feature my piece ‘Lantern’ in their Best of August playlist!! Thanks guys! Tin Brother trio, me, Adrienne, Roger, Four Seasons pool deck. Solo. Wedding ceremony and cocktail hour. Vail Racquet Club. I am so honored that my music could be a part of this heartwarming short film called “Resettled!” This Dropbox production tells Abdullah’s story on behalf of the International Refugee Assistance Project. Thank you Marmoset for helping connect my music to amazing projects like this! Tin Brother. 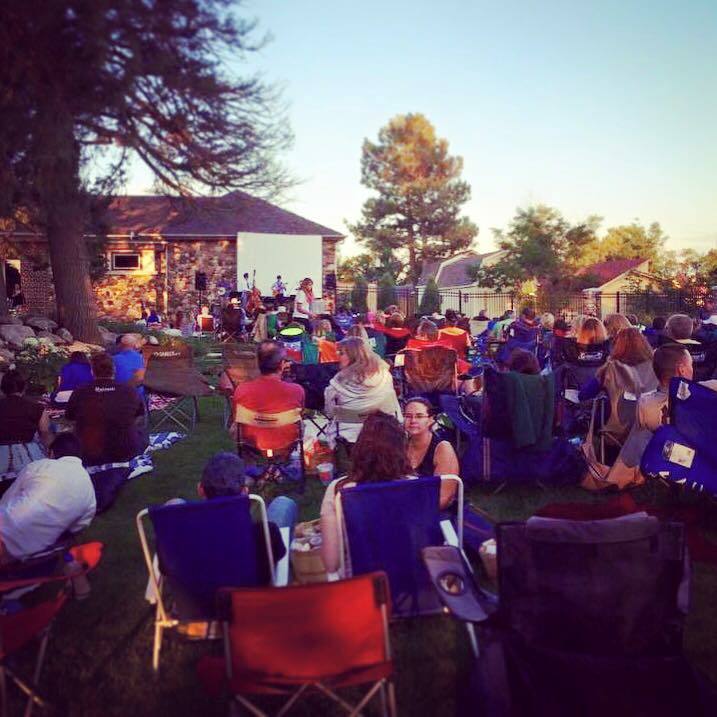 Music on the Plaza Concert Series, Hotel Boulderado. Tin Brother. Oakwood Homes Open House. Commerce City. Quartet: me, Adrienne, cello, and viola. Ceremony/Cocktail (TBro stuff/disney for cocktail hour) at Wedgwood Trail at the Tapestry House. Jane Goodall was a guest on ‘The Tonight Show Starring Jimmy Fallon’ talking about her MasterClass! I am thrilled to see a project I worked on get this kind of coverage! Tin Brother. Broadmoor, Cheyenne Lodge. Tin Brother Duo. Great Divide Event Space. Tin Brother. Happy hour, Renaissance downtown. Violin (Christine Short) + me. Wedding, Wedgewood Ken Caryl, Litetlton CO.
Indie Shuffle just posted this lovely review of my new piece “Soft-Spoken.” Follow the link below to read the full review and listen to the track. Tin Brother (trio?). Jordan Roedding’s wedding. McNichols Building. Tin Brother Trio. Me, Roger, Adam. The Showroom. Tin Brother. Psych hospital grand opening, Centennial. Tin Brother. Renaissance Hotel Downtown happy hour. 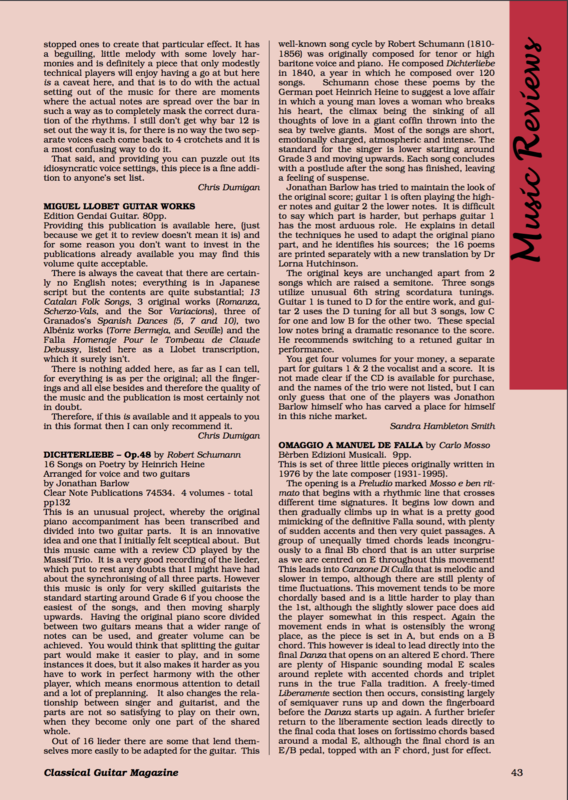 I just discovered that back in 2012, Classical Guitar Magazine gave a very warm review of my edition of Dichterliebe (Clear Note Publications)! Well, it’s new to me! 🙂 They called it an “innovative idea ” and said “Jonathan Barlow has carved a place for himself in this niche.” They also praised Massif Trio (Roger Harmon, Nathan Bird, and me) for our “very good recording.” A pleasant way to reminisce about this project! Tin Brother Trio w/Adam. Broadmoor. A nice Italian travel documentary series called “Street Art(ish)” used my music in their episode about Palermo! I want to visit so bad!!! My piece “Lantern” starts at the 1:35 mark. Thanks to Artlist.io, Guglielmo Biason, and Street Art Palermo! Tin Brother Quartet, me, Roger, Brett, Adam. Marriott City Center. Tin Brother trio, me, Brett, Adam. Granite Properties lobby holiday breakfast flow event. 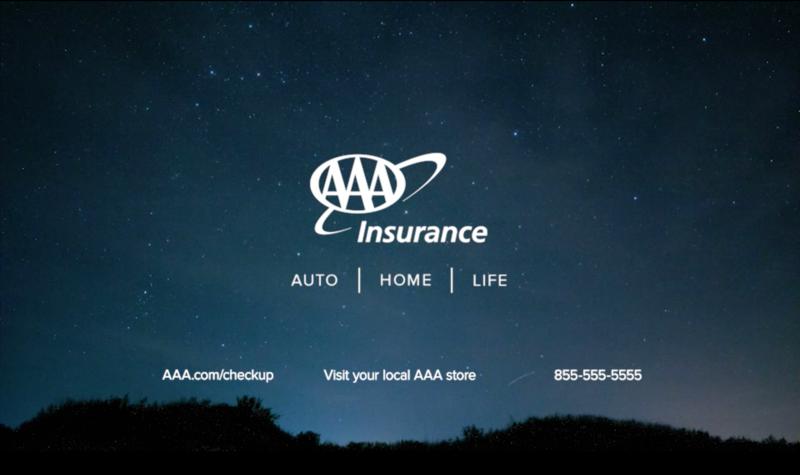 Globetrotting used my piece ‘Roads in Thailand’ for this logo spot. They specialize in horse riding holidays worldwide. Tin Brother Quartet, me, Roger, Brett, Reggie. Chipotle holiday party. McNichols Building. Duo w/Kevin Lee. History Colorado Center, Colorado Room. Accompanying Mae’s class singing “Rocking Carol (Czech Republic traditional)” in the St. Elizabeth’s “Christmas Around the World” concert. Check out my new composer promo! Tin Brother. Hyatt Downtown Denver. Duo with Del Barrios. Party. 3 Sandy Lake, Englewood CO.
February 3rd(Wed), 2016. 7:00-10:00 PM (PS). 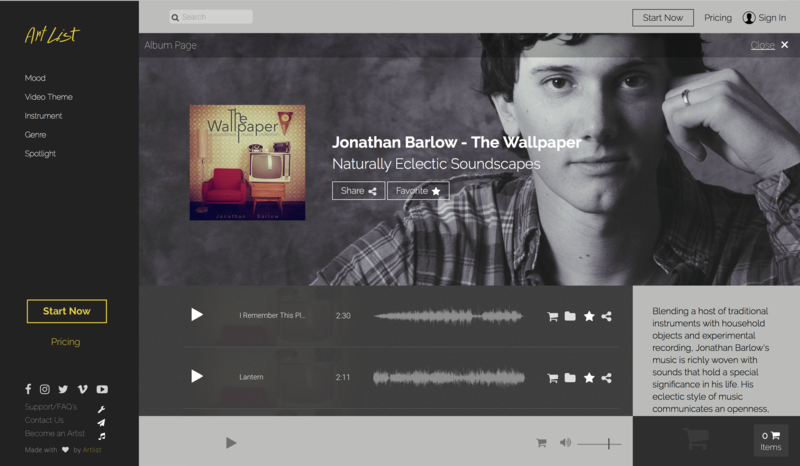 I’m a Featured Artist on Marmoset Music today! Huzzah! Tin Brother. Union Station. Denver. Marmoset held an educational panel: Winter Artist Education Event on “How to Craft Music for Sync Licensing.” at their headquarters in Portland Oregon. During the presentation, they featured my work with the SFMOMA! The event was recorded. With the code “marmosetwinter” you can view the entire panel HERE. My piece starts around the 12 minute mark. It was a packed out event with close to 100 people in attendance and tons of wonderful dialogue and conversation throughout. Listen Louis. Beaver Creek Chapel & Saddle Ridge restaurant. My track ‘Over Oceans’ was licensed for this film by The Long March to Rome, a native peoples movement of Indigenous leaders who are petitioning Pope Francis to rescind the Papal Bulls of 1455 and 1493. On May 1, 2016, a group of indigenous peoples, hereditary chiefs and elders will arrive in Paris France, march to Rome, and formally request that the Pope revoke the Papal Bulls of Discovery. Read the Huffington Post article. Del Barrios duo. Hispanic Chamber of Commerce. Hyatt downtown Denver. Tin Brother Quartet, Jonathan Barlow-guitar, Roger Harmon-bass, Adrienne-violin, tbd piano. Aquarium Downtown Denver. Tin Brother. Brik on Colfax. Tin Brother quartet, Roger Harmon, Adrienne Short, Wilson Harwood, Jonathan Barlow. Hyatt Regency – Colorado Convention Center. This ad was produced by No Hands for Pure Yoga in Ottawa, Canada. It features my piece ‘Vignette for Glassware’ which was made using various household glass items and djembe. One notable glass item was part of the table centerpiece at my wedding reception! I know…cute right? I played the glass and drum with my finger tips (bowing), knuckles, fingernails, and the handles of percussion mallets. Del Barrios Trio. Easter Brunch. 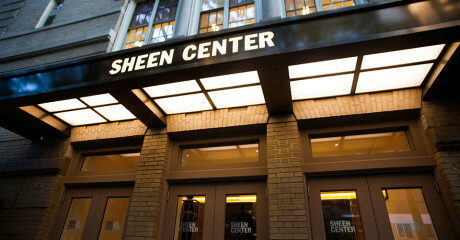 Tech Center. Tin Brother. Hispanic Chamber of Commerce. Tin Brother. Ship Rock Grille, Red Rocks. Western Rivers Conservancy’s Save Blue Creek campaign was led by creative agency Instrument. They worked with acclaimed photographers and filmmakers, including Andy Maser from National Geographic. This video helped raise more than $1 million for a great cause and has been featured in Outside Magazine Online. The soundtrack includes my piece ‘Hymn’ which features me singing in 4 part harmony. Music courtesy of Marmoset. Del Barrios Trio. Mile High Station. Hispanic Chamber of Commerce. Tin Brother. Open house. Wilmerhale Law Offices. 1225 17th St., Suite 2600 (26th floor). Tin Brother. Hyatt Regency Aurora. Del Barrios Trio. Northglenn Food Truck Festival. Tin Brother (Kevin Lee subbing for Roger Harmon). Stanley Hotel, Estes Park. Listen Louis/Tin Brother? University of Colorado School of Medicine, Department of Otolaryngology. Ritz Carlton Downtown. Del Barrios Trio. Parkers Day Festival, Pikes Peak Stage. Solo guitar ceremony (add Roger). Grant-Humphreys Mansion. Tin Brother Trio, Jonathan Barlow (guitar), Roger Harmon (bass), and Wilson Harwood (banjo). Cherry Creek Greenway Project. Tin Brother. Downtown Denver cocktail hour. The San Fransisco Museum of Modern Art ad that I composed the music for was nominated for the International Music+Sound Awards today! 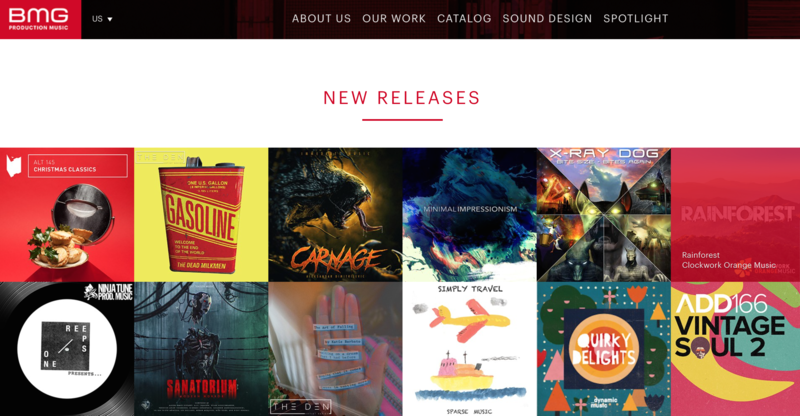 I am honored to have worked on such a cool project with the team at Marmoset Music. And congrats to the film crew at Avocados & Coconuts for the amazing visuals. “The London based Music+Sound Awards are a global awards programme to recognise and celebrate the indispensable role and outstanding contribution that both music and sound design play in the media. The Awards provide a global platform, showcasing and giving accolade to extraordinary talent.” Past nominees include: Gustavo Santaolalla for The Last of Us (PS4), Alexandre Desplate for The Grand Budapest Hotel, and Maurizio Malagnini for Call the Midwife. Tin Brother (Kevin Lee subbing for Roger Harmon). Ritz-Carlton Bachelors Gulch-Skier’s Bridge. Listen Louis/Tin Brother. Wedding Donovan Pavillion, Vail. Tin Brother. Four Seasons Pool Terrace. Tin Brother. Guard & Grace Restaurant. Tin Brother. Brik on York. Kevin Lee & Jonathan Barlow. Vail Deck then Arabella Hotel. August 8th(Mon), 2016. 6:00-8:00 (Noble). Tin Brother. Aji, Latin American Cuisine. Tin Brother. Wheat Ridge Festival. Listen Louis. Wedding ceremony Solitude Station, Copper Mountain Resort. Saddle Ridge in Beaver Creek. Tin Brother. Ceremony/Cocktail. Timber Ridge Lodge, Keystone. This is a short film about one of the most energy efficient homes in the world. It features two of my pieces: ‘Balance’ and ‘Fall 7 Times, Rise 8.’ The house belongs to Renan Ozturk and Taylor Rees who are two outstanding mountaineering filmmakers. They made this film in support of their architect friend Chris Price who designed the house and owns a firm called Park City Design + Build. See on Ozturk’s Instagram. Outside Magazine and Visi Magazine featured this video! Tin Brother. Grand Re-Openning of the McNichols Building. Tin Brother Quartet. Wedding at Blanc the Venue. Check out my new album art and listen HERE. Jonathan Barlow + violin. Wedding at the Barn at Raccoon Creek, Littleton. Listen Louis/Tin Brother. Ceremony + Cocktail Hour. Wedgwood on Boulder Canyon. 38470 Boulder Canyon Dr, Boulder CO 80302. Tin Brother. Great Divide Brewery. Tin Brother. 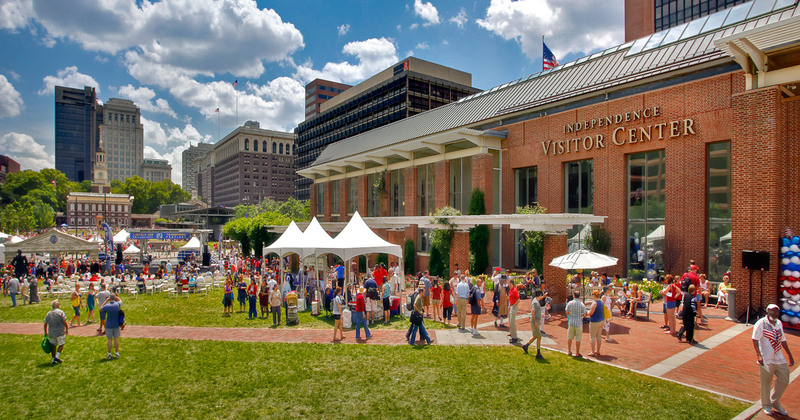 Museum of Outdoor Art. Tin Brother. Renaissance Hotel. 3801 Quebec St.
October 22nd(Sat), 2016. 5:30-7:30 (Noble). Tin Brother. Denver Art Museum. Sweet!! My music was used in this quirky short film commissioned by the Denver Art Museum! The director Evan Mann premiered it during his MakeARTtalk at Untitled at the Denver Art Museum last month. My music starts at 02:08. It was produced by Otherworldly Productions. And as always, a big thanks to Marmoset for making this possible! Tin Brother. Grand Hyatt Hotel Denver. One of my tracks was chosen to be on this years Tender Loving Empire compilation along with fantastic bands like Y La Bamba, Magic Sword, Radiation city, and Willis Earl Beal! 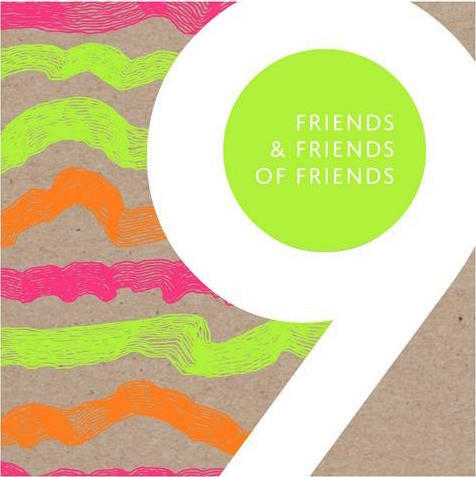 Friends & Friends of Friends is an annual compilation of music curated by the Tender Loving Empire record label in Portland, Oregon. I will be in Portland Nov 2nd-4th to attend all the record release festivities. Tin Brother with special guest Nick Schmidt. Brik on York. Tin Brother.Colorado Health Foundation holiday reception at Cableland. Tin Brother. New Years Eve at the Mirabelle Beaver Breek. Tin Brother with drummer Rob Hesket. Hyatt Regency Downtown. 650 15th Street. Listen Louis. Closing day of the World Cup of Skiing. Allie’s Cabin, Beaver Creek Mountain. Western Union VIP retreat (Governor John Hickenlooper in attendance). Listen Louis. Highlands Ranch Mansion. Listen Louis guitar duo. Keystone wedding. Tea at Cherokee Ranch and Castle, Sedalia. 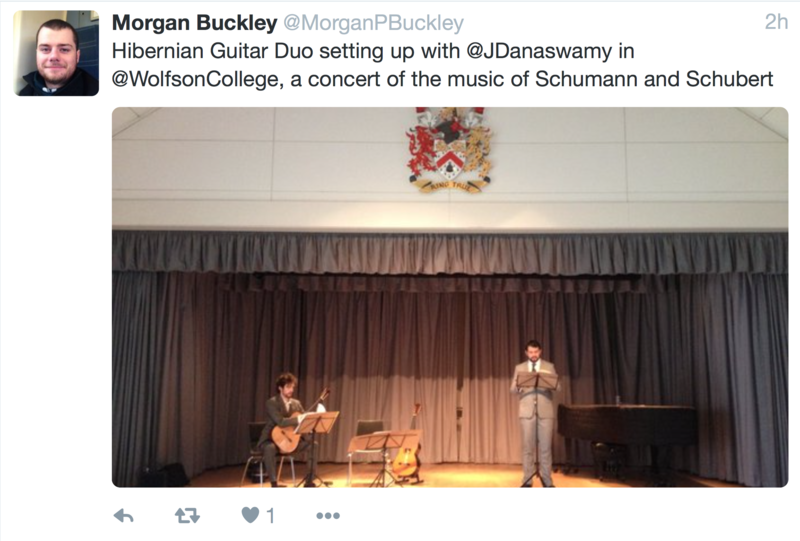 Jonathan Barlow and David Bailey guitar duo. Neiman Marcus jewelry line launch party. Listen Louis/Tin Brother. Cherokee Ranch and Castle. Showcase. Listen Louis. The Stanley Hotel. Listen Louis. Fossil Trace Country Club. Listen Louis. Blanc, the venue. Trio: Brett Omara, Roger Harmon, and Jonathan Barlow. Beaver Creek Chapel (wedding ceremony) & Ritz Carlton Bachelors Gulch (cocktail hour-and-a half). Listen Louis. Crooked Willow Farm. Tin Brother. Colorado Bar Association. Ralph Carr Justice Center. 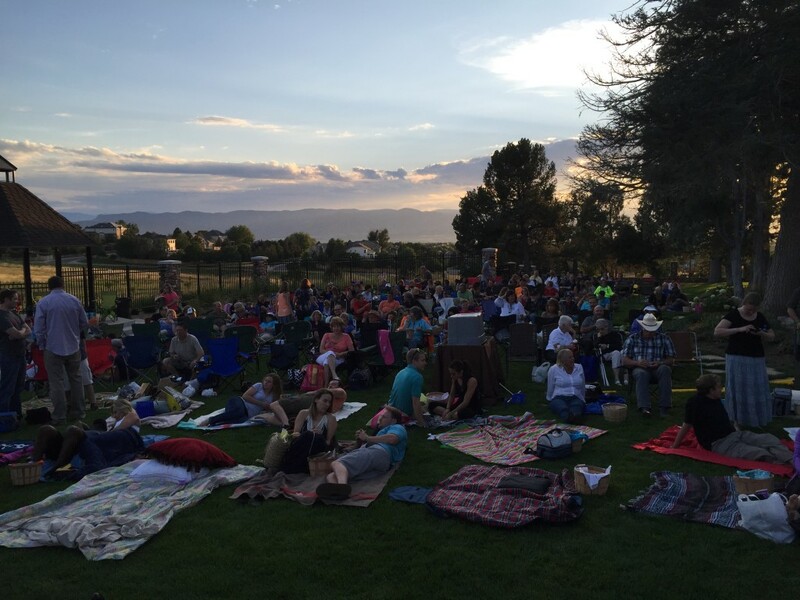 The Tin Brother Quartet performed for a sold-out Highlands Ranch Mansion movie night. Listen Louis + Tin Brother. Meadows at Marshdale. Listen Louis. Retreat at Soltera. Tin Brother. Four Seasons Downtown Denver. Poolside. Tin Brother + Brett Omara, Violin. Lyons Farmette. Tin Brother. Gardens of the Gods Club. 3320 Mesa Road, Colorado Springs, CO 80904. 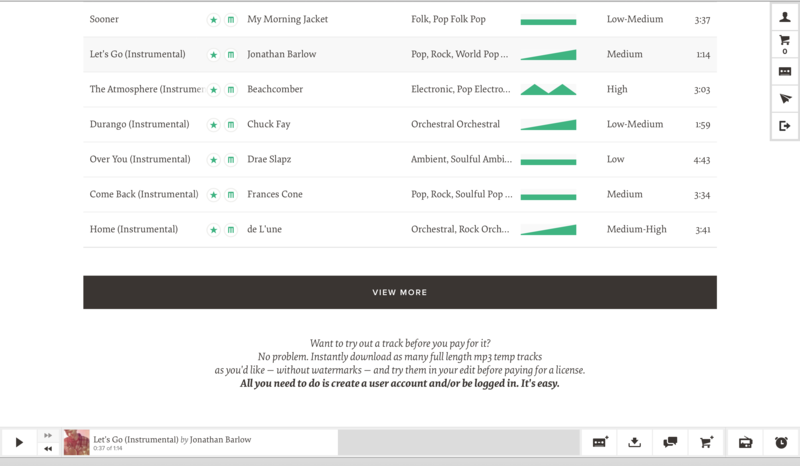 One of my songs rubbing elbows with a My Morning Jacket (fellow Marmoset Artist) song in the Marmoset Music catalog! I know its nerdy but it made me feel all warm and fuzzy! Listen Louis/Tin Brother. The Broadmoor. Tin Brother quartet with Brett Omara (violin) and Adam Bodine (keyboard & melodica). Colorado Convention Center. Tin Brother. Denver Botanic Gardens & Wash Park Studio 900 Pearl St. Denver CO 80209. Solo concert. St. Cajetan Catholic Church. Listen Louis guitar duo. Arrabelle (on the terrace), Vail. Marmoset Music hooked me up with with the San Francisco Museum of Modern Art (SFMOMA) to score the music for this cool commercial announcing their grand re-openning in May 14th, 2016. The film was produced by Avocados & Coconuts and features a customized version of my piece “Wonder Wild” which I recorded using the sounds of me banging on wine glasses, djembe, and spinning coins and plates on various surfaces. Check it out! Tin Brother. Four Seasons Hotel, Downtown Denver. Tin Brother. Fresh City Life. Denver Public Library. The soundtrack music I wrote this year for the Marmoset Music library won the 2015 ASCAP Plus Award for Film & Television Scores! The cash prize will come in January. Huzzah! Tin Brother. Private home. Boulder CO.
Tin Brother. hrCares/Mercer fundraiser at GrowHaus. 4751 York St. Denver CO, 80216. Duo with Oscar del Barrios, pop flamenco. Eli Collection Art Gallery. 975 Lincoln St. Listen Louis guitar duo. Denver holiday party. Tin Brother. Toyota’s Holiday Party. Four Seasons Hotel Downtown. 1111 14th St. Denver CO 80202. Listen Louis guitar duo. Private event. Artwork Network, Santa Fe Art District. 878 Santa Fe Dr.
Jonathan receives the ASCAP Plus Award from the American Society of Composers Authors and Publishers. This award provides cash prizes to composers in recognition of their “creative contributions to American concert music.” This is the 3rd year Jonathan has been a recipient. Listen Louis guitar duo. Grant Humphries Mansion. Jonathan’s composition When On for solo guitar was selected as a Finalist in the ASCAP Foundation Herb Alpert Young Jazz Composer Awards. Established by The ASCAP Foundation in 2002 to encourage gifted jazz composers under the age of 30, this program carries the name of the great trumpeter and ASCAP member Herb Alpert. Listen Louis guitar duo. The Denver Mariott City Center. Guitar duo with Aaron Medina. Devils Thumb Ranch. May 11th, 2014. 10:00-2:00. Canceled. Listen Louis guitar duo. Elks Club Mothers Day Brunch. Jonathan Barlow solo guitar. Colorado Springs. 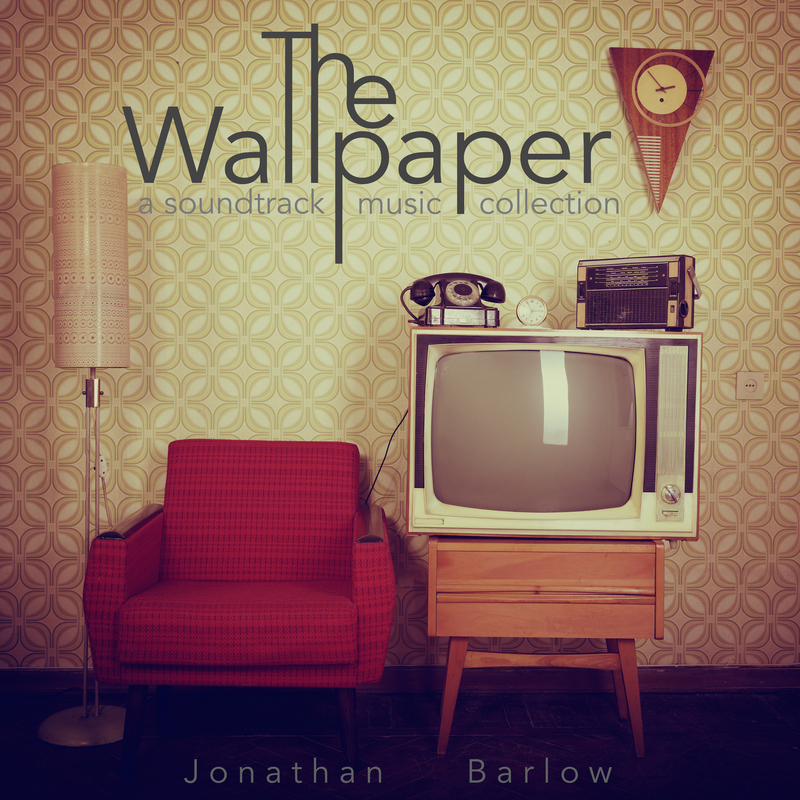 Jonathan Barlow solo guitar. Lone Tree. Tin Brother guitar and bass duo. Two-night private event. The Stanley Hotel 33 E. Wonder View Ave, Estes Park ,CO. Listen Louis guitar duo. Two-night private event. The Stanley Hotel 33 E. Wonder View Ave, Estes Park ,CO. Listen Louis guitar duo. Curtis Hotel. Listen Louis guitar duo. Frog Belly Farm. Private event. Tin Brother. Chihuly exhibition at the Denver Botanic Gardens. Admission (21 and over, ID required at check-in): $50 Adults, $45 Adult Member. SOLD OUT! Jonathan’s original composition When On for solo guitar is now published by the French publishing house Musik Fabrik and the sheet music is available for purchase. International retail distribution by Di-Arezzo in paris. When On was selected as a Finalist in the ASCAP Foundation Herb Alpert Young Jazz Composer Awards. Listen Louis guitar duo. DU Hospitality Building. Listen Louis guitar duo. Chatfield Botanic Gardens. Listen Louis guitar duo. Denver Art Museum, Donovan Pavilion. Listen Louis guitar duo (Kevin Lee subbing for Jonathan). Chatfield Botanic Gardens. Listen Louis guitar duo. Sanctuary at Sedalia. Jonathan’s Rêverie Revamp for guitar duo has been published by Los Angeles Classical Guitar Editions and is available for purchase. Click here to view on the publisher’s website. Listen Louis guitar duo. Devil’s Thumb Ranch. Violin/guitar duo with Brett Omara. Ryssby Church. 9000 N 63rd St. Longmont Colorado. Jonathan Barlow and Kevin Lee (subbing for Roger Harmon). Oxford Hotel, Sage Room. Listen Louis guitar duo. Wedding at Chessman park. Tin Brother. Kleinfelder open house. CenturyLink Tower. 1801 California, Suite 1100 Denver CO 80202. Attended by Denver Mayor Michael B. Hancock. Tin Brother/Listen Louis. Vehicle Vault Car Museum. ASCAP has notified Jonathan that he will receive the ASCAP Plus Award for the 4th year running. The prize will be awarded January 2015. Tin Brother. Denver Botanic Gardens. Jonathan’s solo guitar piece When On is now available in the Georgia State University Library. A growing number of libraries across the US and Canada own copies of Jonathan’s scores. Click here. Listen Louis. Golden Hotel, Vista Room. Jonathan Barlow receives his cash-prize for winning the 2012-2013 ASCAP Plus Award in the Concert Division. Listen Louis guitar duo. Wedding Wars. City Hall Event Center. Listen Louis guitar duo. Private house concert. Listen Louis guitar duo. House band at Strings restaurant. Valentines dinner. 1700 Humboldt St. Denver. Jonathan Barlow is proud to announce that his three movement solo guitar piece Idioglossia has been accepted for publication with Musik Fabrik Music Publishing! Musik Fabrik is a fantastic publisher based outside of Paris. They have an extensive and diverse concert music catalogue. Jonathan is very excited to join their roster of composers. Listen Louis guitar duo. StudioWed 821 Santa Fe Drive Denver. Listen Louis guitar duo. House band at Strings restaurant. Easter Brunch. 1700 Humboldt St. Denver. Listen Louis guitar duo. Private event. Keystone CO. Listen Louis guitar duo. House band at Strings restaurant. 1700 Humboldt St. Denver. Listen Louis guitar duo. University of Colorado School of Medicine – Department of Otolaryngology awards ceremony. Ritz Carlton downtown Denver. Listen Louis guitar duo. Denver Botanic Gardens. Private event. Listen Louis guitar duo. Spruce Mountain Ranch. Listen Louis guitar duo. Private event. Castle Rock. Listen Louis guitar duo. Private event. City Park. Listen Louis guitar duo. Private event. Denver Botanic Gardens. Listen Louis guitar duo. Private dinner party. Denver. Listen Louis guitar duo. Grant-Humphreys Mansion. A growing list of distinguished libraries now carry Jonathan’s scores: Yale University, Juilliard, Cornell University, Johns Hopkins University, San Fransisco Conservatory, Cleveland Institute of Music, CU Boulder, the Royal College of Music, and the Library of Congress. Listen Louis guitar duo. Tele Tech private party. Denver Botanic Gardens. Listen Louis guitar duo. Wedding. Denver Botanic Gardens, Romantic Garden. Listen Louis guitar duo. Private party. Listen Louis guitar duo. Crooked Willow Farms. Listen Louis guitar duo. Wedding at Devils Thumb Ranch, Winter Park. Listen Louis guitar duo. Private home event. Listen Louis guitar duo. Spruce Mountain Ranch. Private Performance. Listen Louis guitar duo. Private event. Lost Valley Ranch, Sedalia. Listen Louis guitar duo. Denver Art Museum. Visa private event. Jonathan’s arrangement of Drei Lieder by Richard Strauss (published by Classical Vocal Reprints) is now available in the music library at McGill University one of the top schools in Canada. The Marvin Duchow Music Library is one of the most important academic music collections in Canada and Jonathan is excited his work is now part of this catalog. 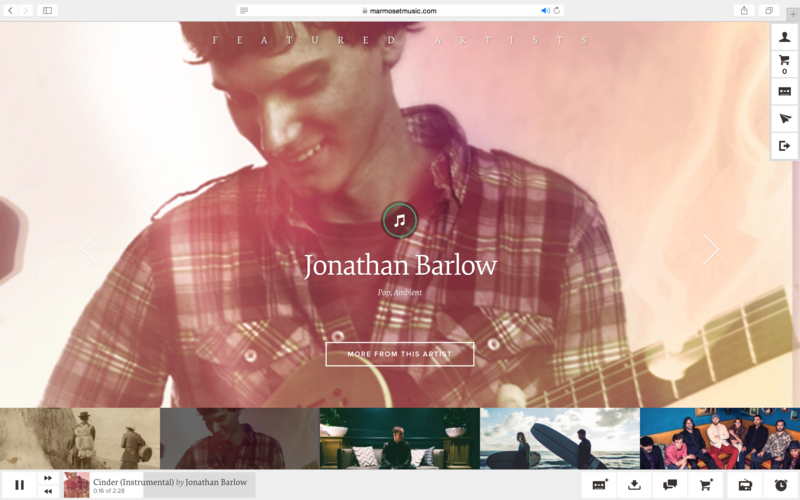 Musik Fabrik Music Publishing has accepted Jonathan’s solo guitar piece When On and will be releasing it soon! Musik Fabrik is a great company based outside of Paris. Their catalog includes a wide variety of music by historical composers and contemporary composers like Carson Cooman, Jean-Yves Malmasson, Jean-Thierry Boisseau, Moyuru Maeda and others. Listen Louis guitar duo. Pueblo Colorado. Listen Louis guitar duo. Hitachi Christmas party. Listen Louis guitar duo. Denver Botanic Gardens. Private dinner. Jonathan Barlow’s album Massif Trio plays Schumann, Schubert and Strauss is made available on Pandora Internet Radio. Listen to “Massif Trio” radio station now! Jonathan Barlow recieves his cash prize for winning the 2011-2012 ASCAP Plus Award in the Concert Division. The Beck Group, Commercial Architecture. 100 Years Celebration. 1001 17th Street, Suite PL 100. Denver, CO 80202. Jonathan Barlow’s arrangement of Dichterliebe for 2 guitars and voice is now available in three music libraries: Oberlin College Conservatory Library, University of Cincinnati Conservatory of Music Library, and the University of Denver Music Library. The Pines of Gennessee showcase. Jonathan Barlow and Roger Harmon sign an endorsment contract with Clayton Guitar Picks. They are so excited to be with such a great American company. Showcase at the Sarchet Event Center. West County Road 32, Plattville CO 80651. City Wine. Van Duzer and Cycles wine tasting event. 347 S. Colorado Blvd. Denver CO 80246. Buxiejo Gallery. 718 N Santa Fe drive. Denver CO 80204. Ameriprise Financial cocktail hour and dinner party. Denver Botanic Gardens, Marnie’s Pavillion. Open house for Sharkey, Howes & Javer, Inc.
Dazzle Restaurant and Lounge. The Dizzy Room. Jonathan’s arrangement of Vivaldi’s Violin Concerto in D Minor is published by Lathkill Music Publishers. Sold and distributed by the respected British retailer Spanish Guitar Centre in Nottingham UK. Veterans Green Jobs, reception for “Heavy Hitters” donators. University of Colorado School of Medicine, Department of Otolaryngology graduation gala. Ritz Carlton Downtown. 1881 Curtis St. Denver CO 80202. Listen Louis. House band at the Warwick Denver Hotel. 1776 Grant Street Denver, CO 80203. Father’s Day Blues, Brews, and BBQ at Randolph’s Restaurant and Bar. Party at Randolph’s Restaurant and Bar. Vail chapel/Sonnenlap Deck. Vail, CO. Snow Mountain Ranch. Tabernash, CO. Listen Louis (Kevin Lee subbing for Roger Harmon). House band at the Warwick Denver Hotel. Retreat at Soltera, wedding ceremony and cocktail hour. South Indiana St. & West Evans Ave, Denver CO 80228. Listen Louis guitar duo. Private party for the Colorado Refugee Services Program. Listen Louis guitar duo. Wedding Ceremony. 10554 South Perry Park Road, Larkspur, CO 80118. Denver Botanic Gardens. Denver, CO.
Havana Nights Denver, benefit for the Rocky Mountain Children’s Law Center. City Park Pavilion. Denver CO, 80205. Jonathan wins the ASCAP Plus Composition Award in the concert division for the second year in a row! Jonathan signs with Classical Vocal Reprints to publish two of his arrangements: Drei Lieder Op. 29 by Richard Strauss (arr. for voice and 2 guitars), and Hymne Op. 21 by Jean Sibelius (arr. for voice and guitar accompaniment). Listen Louis guitar duo. Wine tasting. Water 2 Wine. Listen Louis. Showcase at the Evergreen Lake House. Listen Louis guitar duo. Mile High Station. Listen Louis guitar duo. Hitachi Christmas Party. 1530 16th Street, Denver. Listen Louis guitar duo. Jared’s Galleria of Jewelry. Colorado Mills, 14145 West Colfax Avenue, Lakewood. Jonathan Barlow’s original composition “Louis Waltz” for guitar duo is published by Abundant Silence Publishing. Trinidad Benham Christmas party. Denver, CO.
Trinidad Benham Christmas party, 2nd night. Denver, CO. Listen Louis guitar duo. House band at Strings restaurant. Sunday brunch. 1700 Humboldt St. Denver. Listen Louis guitar duo. House band at Strings restaurant. New Years Eve dinner. 1700 Humboldt St. Denver. Dec. 17, 2011. Private Christmas party. Longmont. 5:00-8:00. Dec. 9, 2011. Private Christmas party. 6:30-8:00. Dec. 8, 2011. Private Christmas party. 6:00-8:00. Dec. 2, 2011. Hitachi Christmas party. 5:00-8:00. Nov. 28, 2011. Jared’s Galleria of Jewelry. 5:00-8:00. Oct. 23, 2011. Richard Hart Estate. 2:30-4:30. Oct. 17, 2011. Tana Dulce. 6:30-7:30. Oct. 8, 2011. Dunafon Castle. 3:30-6:00. Oct. 1, 2011. Avon wedding. Sep. 29, 2011. Private party, Bonnie Brea. 7:00-10:00. Sep. 24, 2011. Washington Park Wedding. Sep. 22, 2011. Governor’s Mansion. 5:00-7:00. Sep. 16, 2011. Denver Botanic Gardens Showcase. 5:00-8:00. Sep. 15, 2011. Denver Botanic Gardens. 6:00-8:00. Sep. 10, 2011. Denver Botanic Gardens. Wedding. Sep. 3, 2011. Hudson Gardens. 10:00-12:30. Sep. 1, 2011. Vail Deck, Vail Mountain. 2:40-3:40. Aug. 21, 2011. Westin River Front . 6:00-7:00. Aug. 20, 2011. Greenwood Village. Private Party. 6:00-8:00. Aug. 13, 2011. Arrowhead Golf Club, wedding. 6:00-7:00. Aug. 6, 2011. Hudson Gardens. 9:00 AM. July 31, 2011. Wedding. Lyons. 12:40. July 30, 2011. Highlands Ranch wedding. 2:00-5:30. July 17, 2011. Evergreen Lake House. 7:10-8:10. July 16, 2011. Arts on 7th. 220 E. 7th Ave. Denver, CO 80203. 12:00-5:00. July 15, 2011. Arts on 7th. 220 E. 7th Ave. Denver, CO 80203. 5:00-9:00. July 9, 2011. Aspen CO, private event. July 2, 2011. Denver Botanic Gardens. 5:00-9:00. June 10, 2011. 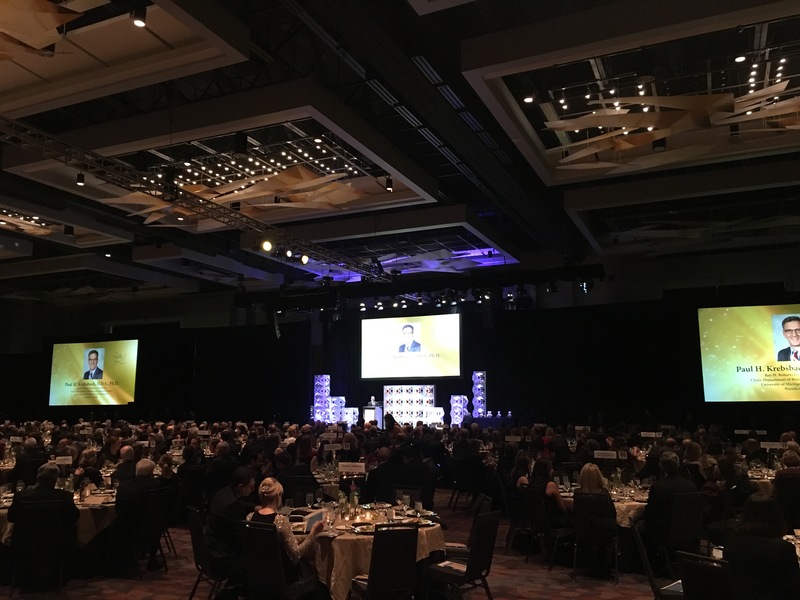 Marriott City Center-Denver Ballroom. University of Colorado School of Medicine. Cocktail hour and dinner. 6:00-8:15. May 18, 2001. Denver Botanic Gardens, 11:30-1:30. May 8, 2011: Elk’s Club Mother’s Day brunch. 9:00-1:00. April 16, 2011. Silent auction. Denver. 6:00-9:00. April 9, 2011. Acoustic Music Revival. 3:00. April 2, 2011. The Manor House. 1 Manor House Road Littleton, CO 80127. 3:30-4:30. March 20, 2011. Evergreen Lake House. Evergreen CO. 5:00-6:00. Feb. 7, 2011. The Wine Loft, 7600 Landmark Way, Suite 107 Greenwood Village, CO 80111. 5:00-8:00. Feb. 3, 2011. CB Richard Ellis, formal cocktail hour and dinner. Plaza Tower One, Greenwood Village CO, 6:00-8:30, private event. Jan. 27, 2011. Stacey and Ryan’s wedding, Winners of “A Memory Lane Military Wedding Contest.” Prussman Chapel, Fort Carson CO, private event. Jan. 22, 2011. “Night of the Arts.” 26437 Conifer Rd #2, Aspen Park CO 80433-9157, 7:45-8:45. Dec 21, 2010: Glenmoor Country Club, DYE Designs party. Dec 18, 2010: The University Club of Denver. Dec 10, 2010: Hitachi Consulting Christmas party. Dec 6, 2010: Trinidad Benham Corporation. Dec 5, 2010: Trinidad Benham Corporation. Nov 19, 2010: Acoustic Music Revival.7:00-8:00. Nov 5, 2010: Infinity Park Gala for Christ the King School 6:00-9:00. Oct 18, 2010: The Iliff Guitar Quartet opens the 2010/2011 concert season for “In Concert, Classical Music in the Valley.” Westcliffe, CO.
Oct 17, 2010: The Iliff Guitar Quartet opens the 2010/2011 concert season for “In Concert, Classical Music in the Valley.” Westcliffe, CO.
Oct 10, 2010: Massif Trio performs for the Allied Arts, Inc. Orville Moore Endowment Concert. Sept 29, 2010: MassifTrio and Iliff Guitar Quartet at Dazzle 7:00-9:00. Sept 18, 2010: Sanctuary Country Club. Sept 11, 2010: Fort Garland, San Luis Valley. Sept 4, 2010: Dunafon Castle. Wedding. Aug 31, 2010: Business School event, University of Denver. Aug 21, 2010: Sanctuary Country Club. Aug 14, 2010: Hudson Gardens. Wedding. July 29, 2010: Tabor Center. Real estate showing. July 30, 2010: Hudson Gardens. Wedding. June 24, 2010: MPI Gala. Cable Center. May 29, 2010: Phipps Mansion. Wedding. May 9, 2010: Elk’s Club Mother’s Day brunch. 9:30-1:00. May 6, 2010: Golden Hotel. Colorado School of Mines event. 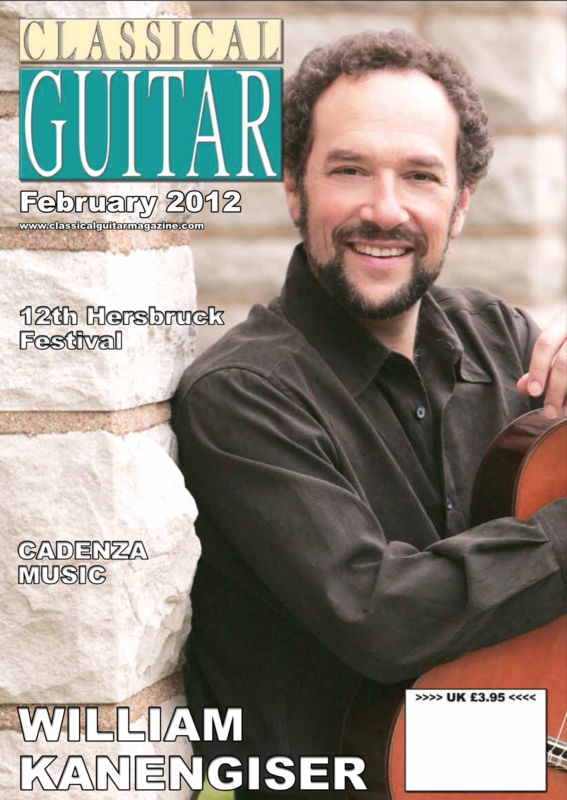 January 13, 2010: Iliff Guitar Quartet at Dazzle! 7:00-9:00. Sept. 23, 2009: Hitachi Company Party. Grant-Humphrey’s Mansion. Sept. 19, 2009: Mackey wedding, Bailey CO.
May 10, 2009: Elk’s Club Mother’s Day brunch. 9:30-1:00. March 29, 2009: Christ Episcopal Church. Choir and band. March 22, 2009: Christ Episcopal Church. Choir and band. March 15, 2009: Christ Episcopal Church. Choir and band. March 8, 2009: Christ Episcopal Church. Choir and band. March 1, 2009: Christ Episcopal Church. Choir and band. Feb 22, 2009: Christ Episcopal Church. Choir and band. Feb 15, 2009: Christ Episcopal Church. Choir and band. Feb 8, 2009: Christ Episcopal Church. Choir and band. Feb 1, 2009: Christ Episcopal Church. Choir and band. Jan 25, 2009: Christ Episcopal Church. Choir and band. Jan 18, 2009: Christ Episcopal Church. Choir and band. Jan 4, 2009: Christ Episcopal Church. Choir and band. Dec 28, 2008: Christ Episcopal Church. Choir and band. Dec 21, 2008: Christ Episcopal Church. Choir and band. Dec 14, 2008: Christ Episcopal Church. Choir and band. Dec 7, 2008: Christ Episcopal Church. Choir and band. Nov 30, 2008: Christ Episcopal Church. Choir and band. Nov 23, 2008: Christ Episcopal Church. Choir and band. Nov 16, 2008: Christ Episcopal Church. Choir and band. Nov 9, 2008: Christ Episcopal Church. Choir and band. Nov 2, 2008: Christ Episcopal Church. Choir and band. Oct 26, 2008: Christ Episcopal Church. Choir and band. Oct 19, 2008: Christ Episcopal Church. Choir and band. Oct 12, 2008: Christ Episcopal Church. Choir and band. Oct 5, 2008: Christ Episcopal Church. Choir and band. Oct 4, 2008: Masakauzu and Jenny Ito’s wedding, The Club at Pradera. Sep 28, 2008: Christ Episcopal Church. Choir and band. Sep 21, 2008: Christ Episcopal Church. Choir and band. Sep 14, 2008: Christ Episcopal Church. Choir and band. Sep 7, 2008: Christ Episcopal Church. Choir and band. Aug 31, 2008: Christ Episcopal Church. Choir and band. Aug 27, 2008: Jonathan performs at the 2008 Democratic National Convention, at an event attended by Michelle Obama, Joe Biden and Nancy Pelosi. Aug 24, 2008: Christ Episcopal Church. Choir and band. Aug 17, 2008: Christ Episcopal Church. Choir and band. Aug 10, 2008: Christ Episcopal Church. Choir and band. Aug 3, 2008: Christ Episcopal Church. Choir and band. July 27, 2008: Christ Episcopal Church. Choir and band. July 20, 2008: Christ Episcopal Church. Choir and band. July 13, 2008: Christ Episcopal Church. Choir and band. July 6, 2008: Christ Episcopal Church. Choir and band. June 29, 2008: Christ Episcopal Church. Choir and band. June 22, 2008: Christ Episcopal Church. Choir and band. June 15, 2008: Christ Episcopal Church. Choir and band. June 8, 2008: Christ Episcopal Church. Choir and band. May 25, 2008: Christ Episcopal Church. Choir and band. May 22, 2008: Christ Episcopal Church. Choir and band. May 18, 2008: Christ Episcopal Church. Choir and band. May 11, 2008: Elk’s Club Mother’s Day brunch. 9:30-1:00. May 4, 2008: Christ Episcopal Church. Choir and band. April 27, 2008: Christ Episcopal Church. Choir and band. April 20, 2008: Christ Episcopal Church. Choir and band. April 13, 2008: Christ Episcopal Church. Choir and band. April 6, 2008: Christ Episcopal Church. Choir and band. March 30, 2008: Christ Episcopal Church. Choir and band. March 23, 2008: Christ Episcopal Church. Choir and band. March 16, 2008: Christ Episcopal Church. Choir and band. March 9, 2008: Christ Episcopal Church. Choir and band. March 2, 2008: Christ Episcopal Church. Choir and band. Feb 24, 2008: Christ Episcopal Church. Choir and band. Feb 17, 2008: Christ Episcopal Church. Choir and band. Feb 10, 2008: Christ Episcopal Church. Choir and band. Feb 3, 2008: Christ Episcopal Church. Choir and band. Jan 27, 2008: Christ Episcopal Church. Choir and band. Jan 20, 2008: Christ Episcopal Church. Choir and band. Jan 13, 2008: Christ Episcopal Church. Choir and band.